Dutoit Agri was established in 1893 and has more than 120 years of experience in the production and distribution of quality fruit and vegetables. Dutoit Agri produces, distributes and markets 250 000 tons of fresh produce a year and employs 7 500 workers in season. That is one portion of fresh fruit and vegetables to 1,7 million people daily. Our vision is to be the leading South African producer and distributor of superior fruit and vegetables. Our mission is to produce, pack, market and distribute quality fresh produce in a sustainable manner, to the satisfaction of our clients and other stakeholders. All of our produce harvested is packed, cooled and stored at our own facilities and marketed by our own marketing team to our clients in more than fifty countries all over the world. In South Africa, Dutoit Agri supply fruit and vegetables to all the major retail outlets across the country. 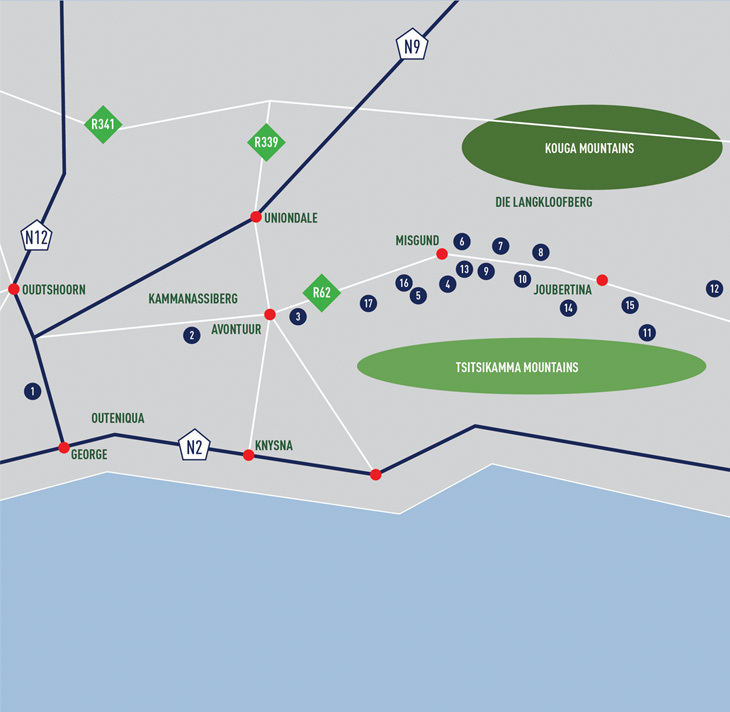 Comprises all direct farming activities on ten farms in the Western Cape. Dutoit Agri has five farms in the Koue Bokkeveld Area, two each in the Witzenberg Valley and Sandveld areas and one just outside Worcester. 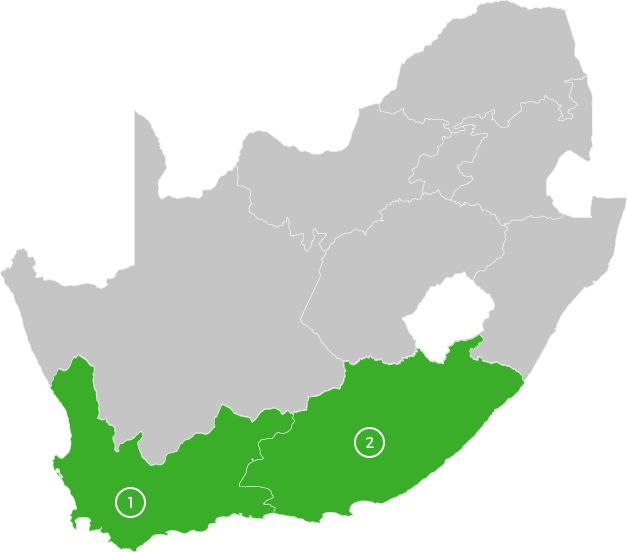 Comprises of primary agriculture, cold storage and packing facilities in the Langkloof, Eastern Cape. Dutoit Agri has 11 farms in the Langkloof. Fruit packing facilities and cold storage in Ceres. Responsibilities include the storage and packing of all fruit from the Western Cape. Vegetable packing facilities and storage for vegetables in Prince Alfred’s Hamlet. Responsibilities include the storage and packing of all vegetables. The team is responsible for the marketing of 250 000 tons of quality products, to our local and global customers to promote the well known DUTOIT Agri brand. The coordination of all technical research and development to ensure best practices and quality technical support. The recruitment, training and development of employees by focusing on forward thinking business practices. Responsible for all financial accounting and planning to ensure positive growth within the business. Our marketing strategy is to serve specific anchor clients in each major market. We are dedicated fully to delivering our wonderful range of fresh produce to the consumer in a simple, yet efficient manner. Central to this strategy is our focus on relationships. We believe in maintaining and building on current business relationships and to grow with our clients. Dutoit Agri has its own marketing division responsible for sales to major international and local supermarkets and retail outlets. 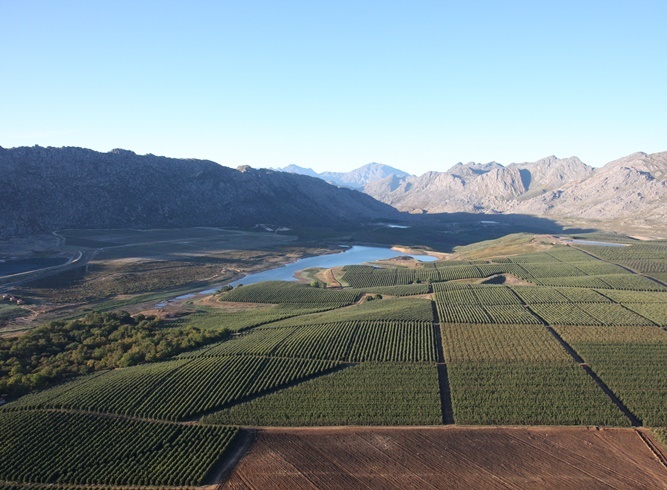 Dutoit Agri has about 4500 hectares fruit and vegetables under irrigation in the Warm and Koue Bokkeveld, the Berg River and Sandveld regions as well as in the Langkloof, Eastern Cape. At Dutoit Agri, we pride ourselves on our ability to fuse stability with forward thinking innovation. In our Technical Department we have our own product development manager responsible for evaluating all new cultivars. Dutoit Agri has been part of the international company, IFORED, since 2012. Fifteen prominent fresh produce companies from 13 countries partnered with IFO (International Fruit Obtention) in France to form an international consortium for the testing, selecting and commercialisation of red flesh apples from the IFO breeding programme. Dutoit Agri is the only South African international company in partnership with the IFORED Club. The development of these unique cultivars is viewed by experts as one of the most important developments in decades. The IFORED varieties have been bred naturally, with special focus on their attractiveness and health attributes. This range of cultivars differs in appearance and taste. They are harvested a few days before Gala, up until the harvesting of Fuji starts. The taste differs from sweet to a more balanced and somewhat spicy taste, and have either a yellow, orange, red or pink internal colour. The Opal apple is a fresh, golden apple, often with an attractive delicate blush and russeted stem and halo. It combines a crisp and juicy texture with an intense sweet and slightly tangy, aromatic flavour. The apple was bred in the Czech Republic by cross-breeding the Topaz and Golden Delicious varieties. Dutoit Agri has obtained the exclusive rights to grow and market a series of cherry cultivars from the Zaiger Group in the United States of America. Traditional cherry varieties in South Africa had very high chilling requirements. This meant that they could only be planted in specially selected climatic regions. The new varieties can be planted in milder regions, which have opened the door for Dutoit Agri to increase their cherry production and marketing drastically. Zaiger cherries will be marketed under Dutoit Agri’s first product specific trademark, Cherry Time. Available online at www.cherrytime.co.za Cherry Time cherries are bigger, more flavourful and burst-resistant than traditional cherry varieties grown in South Africa, with the biggest advantage being that they can be grown in a warmer climate. The Cherry Time pouch was also a first of its kind in South Africa. Imported from Washington in the United States of America, this pouch opens and closes with a zip lock to ensure maximum freshness, and the bag can stand on its own. Clients can also see our beautiful cherries through the window in the pouch. Dutoit Agri is very excited about our pink and sweet onions which are in the process of being commercialized. The main advantage of the sweet onion is that they have no burning aftertaste, which makes it a very versatile ingredient to use when cooking. The pink onions are milder and sweeter compared to the typical brown onion, and is visually exceptionally attractive, especially in salads. In anticipation of larger cherry volumes, Dutoit Agri invested in a new cherry packing machine. At the heart of the project is a cherry grader supplied by GP Graders in Australia. This grader differentiates between quality standards through the use of camera technology. Effective use of this machine will ensure greater uniformity and faster sorting times. The task of managing commercial agricultural activities in a sensitive ecosystem places a specific responsibility on management. Dutoit Agri accepts full responsibility to act as custodians of the environment and is committed to the management of biodiversity, the responsible use of natural resources and the minimizing and responsible handling of waste. Risk areas are identified and measures implemented to minimize environmental pollution. Wagenboom Nature Reserve, situated in the Tandfontein Estate, recently received the Award for Best Stewardship Site – Biodiversity Conservation from Cape Nature. According to the adjudicators, Wagenboom Nature Reserve stood out because of its significant contribution towards the conservation of species, habitat, systems and vegetation types. The conservation area on the estate is 4420ha in extent and consists of several vegetation types, most notably Koue Bokkeveld Alluvium Fynbos which is Endangered and Koue Bokkeveld Shale Fynbos which is Vulnerable. These vegetation types have not been protected formally in the past. In a highly productive agricultural landscape such as the Koue Bokkeveld these extensive and diverse lowland areas are very important contributors towards ecosystem services such as water purification and habitat for pollinators. The Koue Bokkeveld area has seen extensive development recently and securing some of this habitat is essential. This property also assists in conserving extensive wetland systems that contribute freshwater to the Doring River system. Several threatened species, including 95% of the global population of Leucadendron sericeum which is Critically Endangered, 10% of the Protea Family consisting of 36 Protea species, the Critically Endangered Twee River Redfin and Twee River Galaxia fish species are all dependant on this property to secure its future habitat. There are numerous records of other threatened species and there are likely to be many more waiting to be discovered with further fieldwork.